The e-TP60 is a sophisticated, luxuriously made power distributor that eliminates many common problems found with audio and video components caused by massively contaminated electrical power. The AC waveform becomes severely distorted by ground noise, voltage spikes and sags,high frequency power supply noise from other components in your own system, plus radiated high frequency digital noise from processors and digital interconnects. There are also distortion products at the top and bottom of the AC waveform created by switch-mode power supplies in electronic devices on the same circuit. Additionally, you’re never alone; your residential AC mains supply is shared with other apartments, homes, and businesses on the same utility transformer. That’s why many audio and video enthusiasts notice their systems are more enjoyable late at night or on weekends! RFI (Radio Frequency Interference), and a layer of Formula GC-303 blocks EMI (Electro Magnetic Interference). 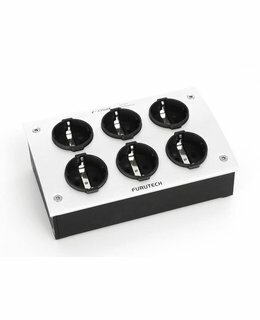 Internal wiring is FURUTECH μ-14 wire（14 AWG） that guarantees low resistance. 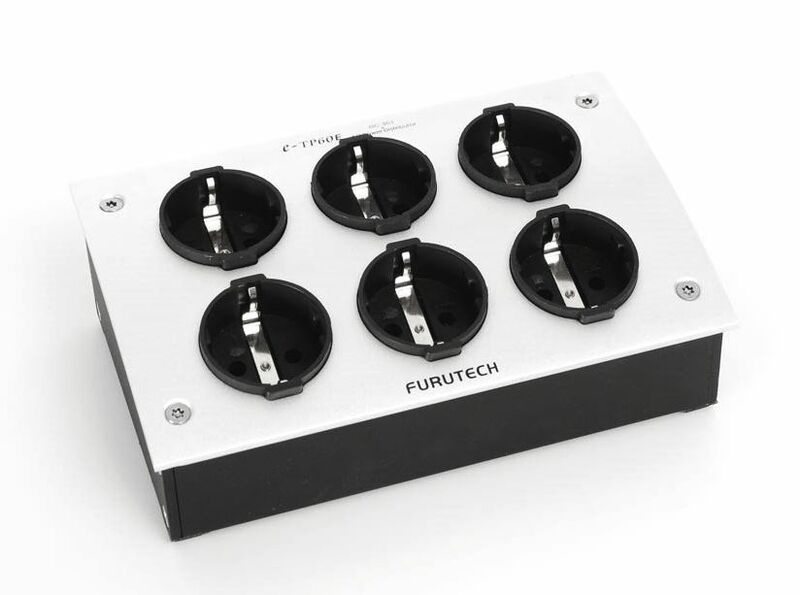 Furutech Hyper Quality High Performance Receptacles are wired to the IEC AC input of the e-TP60. Receptacles feature 24k gold-plated phosphor bronze, non-magnetic conductors for stable, long lasting, optimized power transfer. The 2-Step Cryogenic and Demagnetizing Alpha Process works in tandem with other design-in features to create the most optimized AC power transfer possible. Furutech’s total awareness and devotion to detail results in a greater sense of power, dynamics, and resolution, with cleaner, blacker backgrounds and a larger, more stable soundstage, vivid tonal colors and deeper extension at both ends of the frequency range. The e-TP60 will allow the delicacy, refinement and nuance of a performance through, along with micro- and macro-dynamics that will leave you breathlessly engaged. Displays of all types will exhibit greater, sharper resolution with less ghosting, color shift, “snow”, or vertical and horizontal lines.